Staying with a local family is both exciting and rewarding. Host families provide the best insight into how British families live their day-to-day lives. This interaction with a family will help you communicate better, faster and allow you to pick up words and nuances used in daily situations. 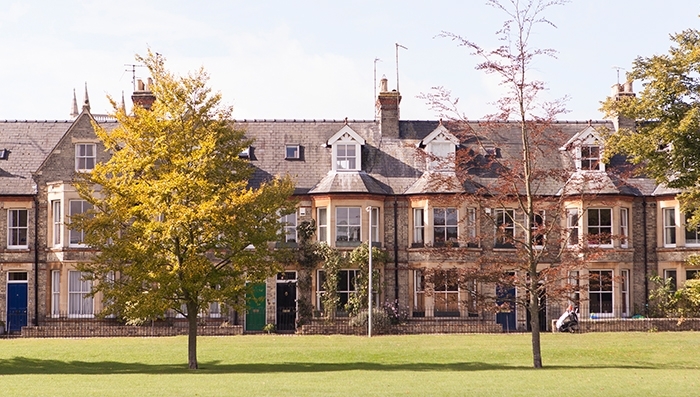 There is no typical homestay in Cambridge. Some homes are single standing homes; others can be apartments or townhouses. Cambridge is a very multi-cultural city and a lot of people are originally from different countries, so families may have different backgrounds. Living with a family in Cambridge will give you a great view of all the different cultures and ethnicities that Cambridge has to offer. Choose between a single or twin room. Each room is furnished with a bed and a closet to store your personal belongings and clothes. If there is not a desk in your room, the host family will provide you with a quiet place to study. It is important that rooms and living areas are kept neat and tidy. You will also have access to a shared bathroom. Private bathrooms are also an option, upon request and availability. Bed linen and towels are provided by the host family. The host family will be happy to launder the sheets and towels once a week. You are responsible for doing your own personal laundry. You will be allowed to have one free wash per week. It is very common for families to have a designated laundry day. Internet access is available upon request (and if requested, will be free of charge). Telephone access is dependent on the host family. Cambridge is an extremely historic, multi-cultural, and sociable city. You'll find an abundance of stunning architecture, great museums and theatres, and fun nightlife. Breakfast and dinner are provided daily by the homestay host, who will be happy to prepare both meals, however lunch is not included in the adult homestay programme. The host will provide room in the fridge and cupboards to store any food that students may purchase. Host families make an effort to adjust the type of food offered to the tastes of the students and take religious beliefs into consideration when preparing meals. Vegetarians or people with food allergies should specify their dietary restrictions upon booking so this information can be shared with families prior to arrival. Breakfast varies from family to family. It is typical for British families to have a quick, on-the-go breakfast such as toast and a coffee. Hosts are encouraged to offer students whatever the family typically eats. Students will eat whatever the family eats and help set the table or clear up after dinner. Students are encouraged to participate in family activities or outings. Dinner time is usually around 6.30pm or 7.00pm, but families will inform the student of the time when they eat. Not all families will sit down and have dinner together every night. It is important that the student informs the host family beforehand should they be late or not having dinner. If a student misses dinner, they cannot take it for lunch the next day, since lunch is not included in the homestay program. Cambridge is a small city but the majority of the city centre is owned by commercial companies and the Colleges, with a very simple and efficient transit system. Our homestays all live within 45 minutes travel time to EC Cambridge, with an average of 30 minutes. All of our homestays are close to a bus stop. Our homestay hosts are happy to assist the students with directions to the school on their first few days in Cambridge to ensure a simple commute. To find your way to school from the central bus station: Head northeast on Emmanuel Street toward Drummer Street. Then turn right onto Parker Street and continue onto Parkside. When you get to an intersection with traffic lights, turn left onto East Road. Continue walking on East Road, then turn left onto Burleigh Street. You will find the school on your left hand side on Burleigh Street. The walk will take you approximately 15 minutes. There may be a quicker option but we recommend to use these directions on your first day.